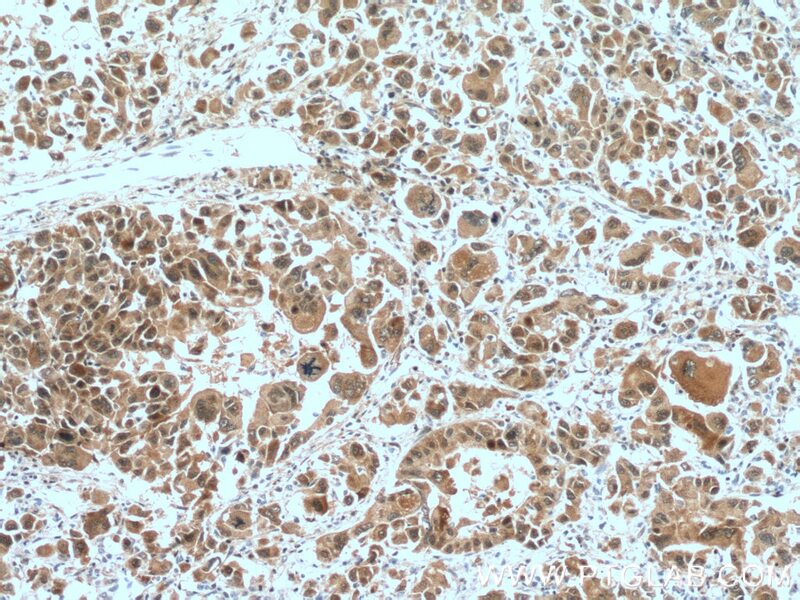 Immunohistochemical analysis of paraffin-embedded human liver cancer tissue slide using 66475-1-Ig( TXN antibody) at dilution of 1:300 (under 10x lens) heat mediated antigen retrieved with Tris-EDTA buffer(pH9). 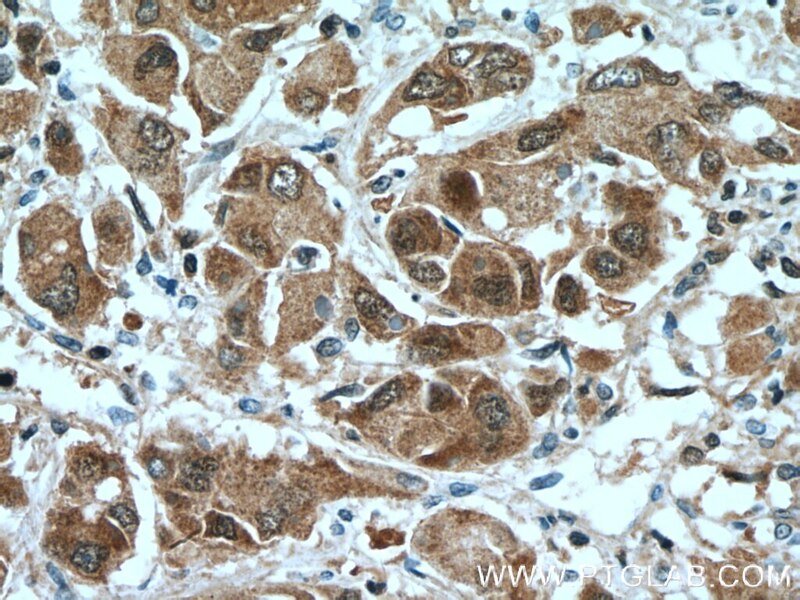 Immunohistochemical analysis of paraffin-embedded human liver cancer tissue slide using 66475-1-Ig( TXN antibody) at dilution of 1:300 (under 40x lens) heat mediated antigen retrieved with Tris-EDTA buffer(pH9). TXN, TRDX, TRX, TRX1, ADF and SASP, belongs to the thioredoxin family. It participates in various redox reactions through the reversible oxidation of its active center dithiol to a disulfide and catalyzes dithiol-disulfide exchange reactions. 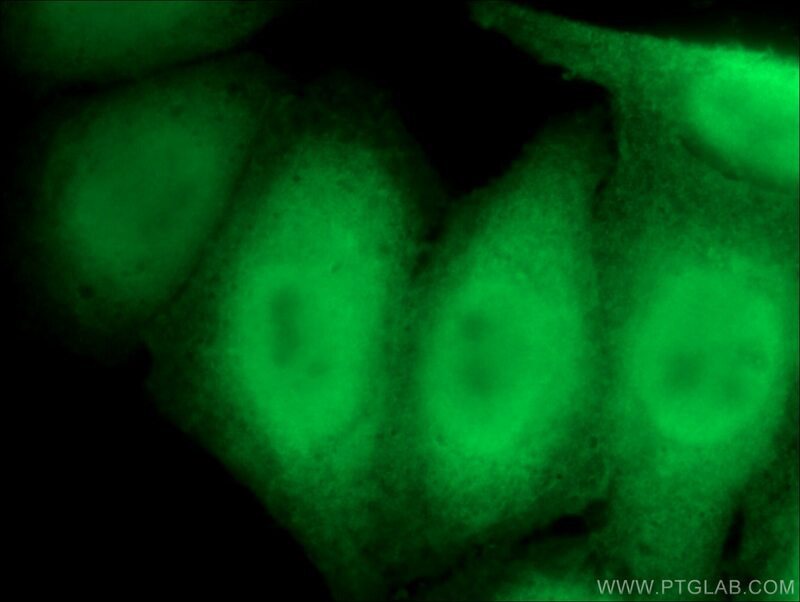 TXN plays a role in the reversible S-nitrosylation of cysteine residues in target proteins, and thereby contributes to the response to intracellular nitric oxide. Nitrosylates the active site Cys of CASP3 in response to nitric oxide (NO), and thereby inhibits caspase-3 activity. 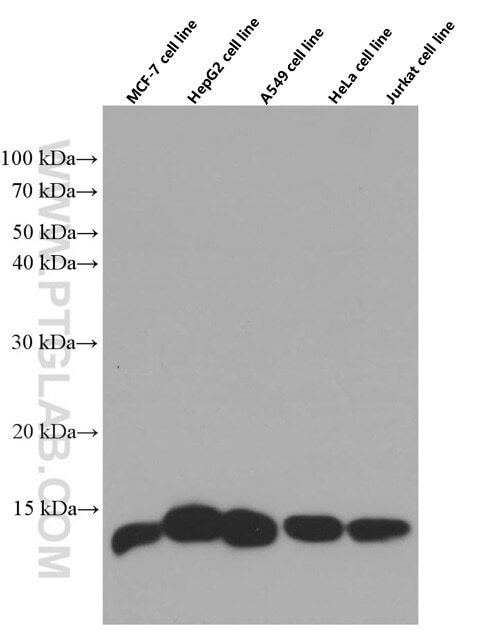 TXN induces the FOS/JUN AP-1 DNA-binding activity in ionizing radiation (IR) cells through its oxidation/reduction status and stimulates AP-1 transcriptional activity.